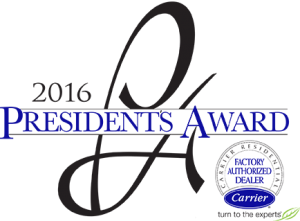 We are so proud to announce that Purl’s Sheet Metal & Air Conditioning was awarded one of Carrier’s highest awards “The President’s Award”. This award is only presented to Carrier Factory Authorized Dealers. 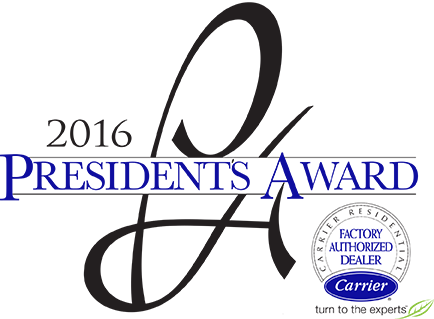 Carrier Factory Authorized Dealers are an elite group of dealers that are required to meet a strict set of standards set forth by The Carrier Corporation. 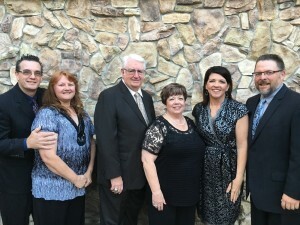 Of that group, only the top 2 percent in the nation qualify to receive the President’s Award. The award is based on a dealer’s representation of the Carrier product line, customer satisfaction, and excellence in business and sales leadership. The number of years as a loyal Carrier Dealer also contributes to the award criteria. President’s award winners are invited to serve as part of a national sounding board to the Carrier brand leadership team. Purl’s Sheet Metal & Air Conditioning has been a Carrier Dealer since 1973 and a Factory Authorized Dealer since the program began in 2003. The Presidents Awards were presented during the Annual Carrier Factory Authorized Dealer National Dealer Meeting held March 17-19 in Huntington Beach, CA. 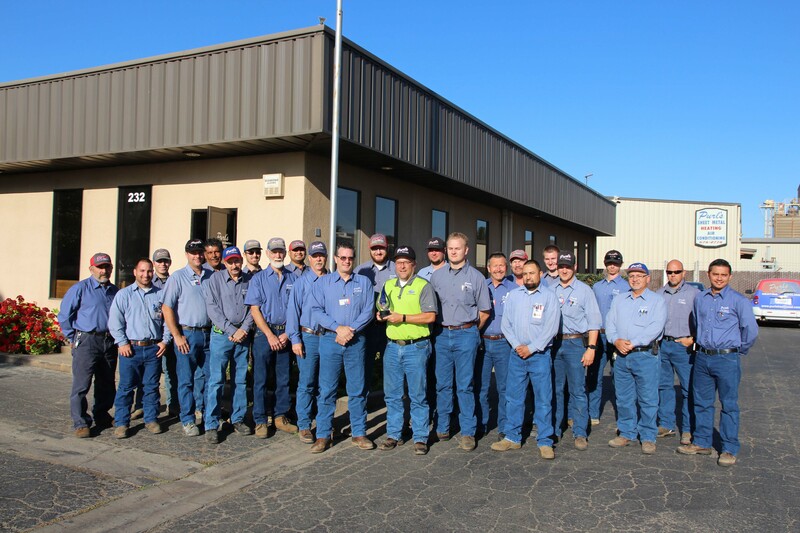 Purl’s Sheet Metal maintains and services HVAC equipment and our team is available to handle all of your maintenance and emergency needs. To learn more about Purl’s Sheet Metal and the complete range of cooling and heating products and services we offer contact us today. Spring marks the beginning of warmer weather and the climb toward the heat of the summer. Making sure that you have the best working air conditioning system is an important part of spring preparations. However, it’s not the only step you may need to take to ensure excellent comfort in your house. Spring is allergy season, and if people live in your home who have even mild allergies and asthma, this can become an unpleasant time of the year for them. Have You Singed Up for Our Maintenance Program Yet? March is an unusual month when it comes to heating and cooling a home, especially in a place like Northern California, where temperatures often swing back and forth between warm days and cold rainy days. This is probably the ideal time of the year to think about making changes to your HVAC system, such as putting in a new air conditioner or heater. It’s also the time to arrange for the annual maintenance service that will see that your air conditioning system is prepared for the coming summer. Posted in Air Conditioning | Comments Off on Have You Singed Up for Our Maintenance Program Yet? Last week we looked into making the decision to replace or upgrade your air conditioning system during the spring. If you think that now is a good time to put in a new AC or add upgrades to your current one, we’ve put together some suggestions to consider. Call our technicians to schedule an appointment, and we’ll help you receive the finest air conditioning performance for the coming spring and summer weather. Spring is the ideal time to evaluate your air conditioning system to see if it needs repairs, or in some cases should be upgraded or replaced entirely. You never want to head into the hot weather of the middle of the year with an aging, inferior, and energy-wasting air conditioner in your house. The best way to find the right path forward for excellent cooling is to call on us for regular maintenance. One of our experienced technicians will be able to give you a professional opinion about the state of your AC and whether a replacement is the more cost-effective choice over continuing with repairs. The second half of February is here, and we’re already experiencing warmer weather. But we can’t count on it remaining like this all the way through to the middle of spring. There may still be some chilly surprises ahead, and that means your heating system needs to be prepared to come back on. We’re thrilled to announce that we are recipients of the 2016 President’s Award from Carrier Corp. The award will be presented at a ceremony in the middle of March.